MS is a neurological condition with no known cause and no cure. It is usually diagnosed between the ages of 20 and 40 and so people with MS are often living with the condition for most of their adult lives. Around 85 % of people with MS have relapsing remitting MS where in the early stages they experience distinct decline in capacity followed by a full or partial recovery. 15% of people diagnosed with MS have a progressive form of the condition without remissions. 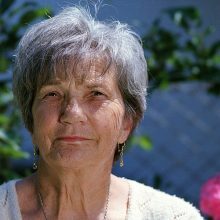 In most cases, the symptoms of MS gradually get worse over time so that older people have a sustained build-up of disability, variously affecting their mobility, balance, dizziness, sight, memory, fatigue, bladder problems and stiffness and/or spasms. At Blue Sky Enabling we have experience of working with people with MS so that they are able to continue living full and active lives.